I’ve been reading more about Dr. Ben Carson & I know many want him to run for president in 2016, mostly because of his refreshing, boldness to speak the truth most recently at a prayer breakfast in the president of President Barack Obama and on Hannity. I am very cautious because he is a doctor & a philosopher without much experience. 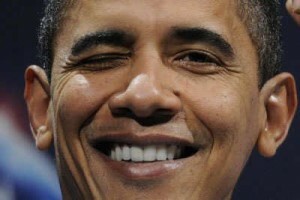 Lack of experience but celebrity charisma got us Barack Obama – twice. 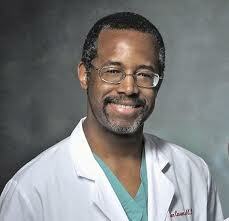 Dr. Carson revealed that he is an Independent and I do like what I am hearing from him. He did a wonderful job on Hannity. I think that if he runs for president in 2016 that it would be best for him to run as an Independent, rather than being forced to choose to run on a Republican or Democratic ticket, because I think he can get the financial backing no matter what & people from all walks of life & affiliations will support him. The Democratic party nor the GOP deserves him as their candidate for various reasons & it’s not in his best interest to play the partisan politics game. If he aligns himself with either, no matter how true the words coming out of his mouth are, there will be many to immediately go into “herd biased” mode just because of a label. I am not ready to endorse him for president in 2016 because I have to do more research. My love for him as a role model is due to his achievements as a surgeon, so we’ll see what happens. If he does run, whomever he is up against had better bring their “A game” because you cannot do to him what was done to Herman Cain – the man has virtually no skeletons in the closet so the usual mudslinging & character assassinations will be futile. The road to 2016 is paved by us, if we choose to do so rather than play the media game & end up with the least likely candidate as the right did with Romney in 2012. As for me, my decisions will only be guided by careful research, qualifications that I see fit for the leader of the free world, comparing & contrasting without consideration of labels & prayer. Let those who choose to be told who to support fall into place as usual – those are dead, zombie votes and last time I checked I had a pulse & a mind.